, i_ TT1 in article 11 is mentioned, adequate!? also be drawn to (c) the Howeit Ne] Finally, since in connexion wit! «u„i,- o« ,h= ^ . possibly arise in maintaining that the territory immediately to the east of tk. notwithstanding the fact that the 1914 convention specifically describes the. blue lifle as dividing Nejd from £C the territory of Qatar,'’ avoid referring! to the territory to the east of the blue line as specifically forming paid of the! State of Qatar itself, but refer to it merely as being under British influence. 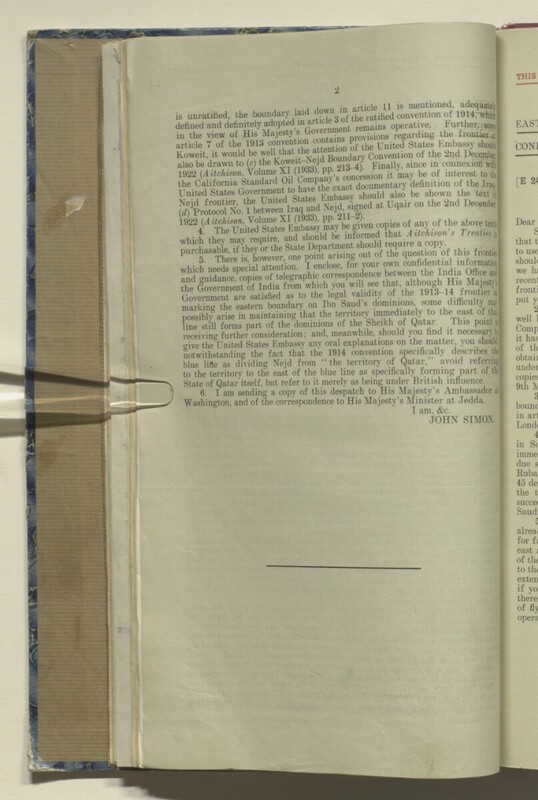 Washington, and of the correspondence to His Majesty’s Minister at Jedda.